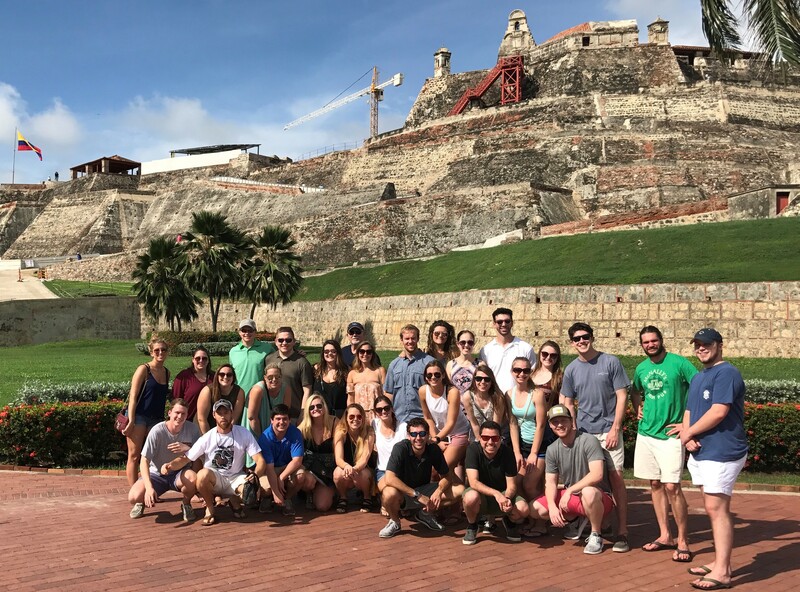 Students and faculty from Belmont’s Jack C. Massey College of Business spent the month of May exploring Central and Latin America. The Massey Accelerated Master’s of Business Administration (MBA) Program directed a study abroad trip for 27 MBA students to travel to Bogota, Cartagena, and Medellin, Colombia from May 6 -20. In Bogota, students visited the U.S. Embassy, learned about the country’s development of entrepreneurial talent at HubBOG and visited, danced and sang with local children at Fundación Niños de los Andes. Students then took in 600 years of living history in Cartagena’s Walled City and Castillo San Felipe de Barajas, a Spanish fortress dating back to the mid-1500s before travelling to Medellin, 21st century success story and winner of the 2012 Citi/Wall Street Journal Innovative City of the Year and the 2016 Lee Wuan Yew World City Prize. While there, the group toured the public transit system, comprised of trains, trams, busses, sky trams and elevators, to see how the city has flourished from its notorious past. The group was also able to visit the Chamber of Commerce to learn how the city uses alliances called industry clusters to promote textile design and manufacturing businesses to vendors and governments around the world.